Researchers at the southern Taiwan-based National Cheng Kung University (NCKU) recently announced in a press conference that they have identified a new drug that can be used to repair aged and damaged hearts. The stem cell researchers, led by Professor Patrick Ching-Ho Hsieh, from the Institute of Clinical Medicine, NCKU, discovered that prostaglandin E2, a type of hormone-like medicine, is capable of rejuvenating aged hearts. The discovery sheds light on cardiac cell regeneration and provides another effective option for heart disease patients other than heart transplantation. Hsieh said that cardiovascular disease such as congestive heart failure is a leading cause of morbidity and mortality throughout the world. Currently, there are about 6 million patients of congestive heart failure in the US and about 0.4 million patients in Taiwan. In spite of intensive medical or surgical treatment, 80% of patients die within 8 years of diagnosis, Hsieh added. He also noted that biomedical research nowadays has couple of milestones for heart diseases; however, the renewing mechanism is still unknown. 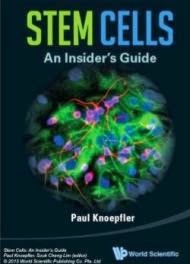 It is also lacking a drug allowing stimulation of heart regeneration by endogenous stem cells. After 7 years of work, Hsieh’s team has identified the critical time period and the essential player for this cardiac repairing process. 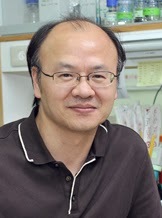 Also a cardiovascular surgeon at the NCKU Hospital, Hsieh’s research group used a special transgenic mouse model he developed when he was a research fellow at Harvard Medical School to investigate how endogenous stem cells regenerate cardiomyocytes following myocardial infarction, or heart attack. They showed that the cardiac self-repairing process begins within 7 days after injury and it reaches its maximal activity on day 10. The key player for this process is PGE2 and it is important for regulating cardiac stem cell activities. "More importantly, both young and old mice have significant improvements for cardiac repairing if you treat both of them PGE2." said Hsieh. The NCKU research team figured out that PGE2 has the ability to lower the expression of the aging marker gene, transforming growth factor (TGF)-β1, and rejuvenates the micro-environment of the aged cells, Hsieh explained.